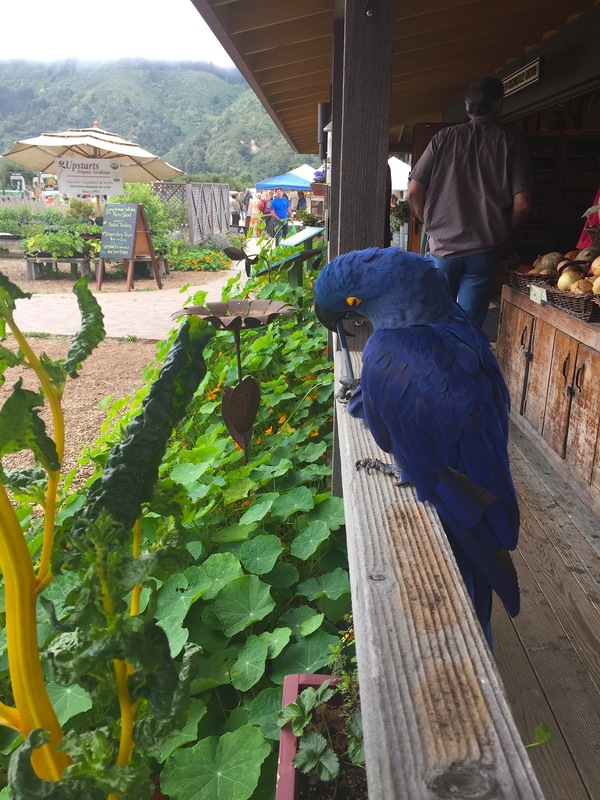 Summer fun at Earthbound Farm Stand in Carmel Valley. The biggest shows are not always the best ones. Camp Vintage, with its 25 hand-selected dealers, proves this point. This show has great stuff. Among the collections of vintage garden, kickass western, and coastal antiques, were some rare finds. An International truck tailgate repurposed as an industrial seat, museum-quality whaling spears, a porcelain stove with lamp, an architectural wooden arch, and a fabulous motorcycle. 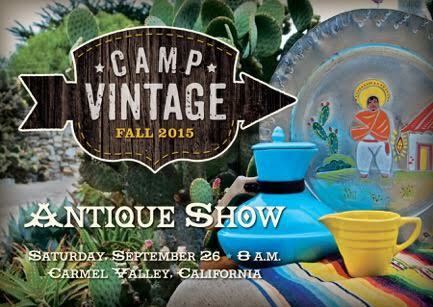 Mark your calendars for Camp Vintage Fall – September 26. 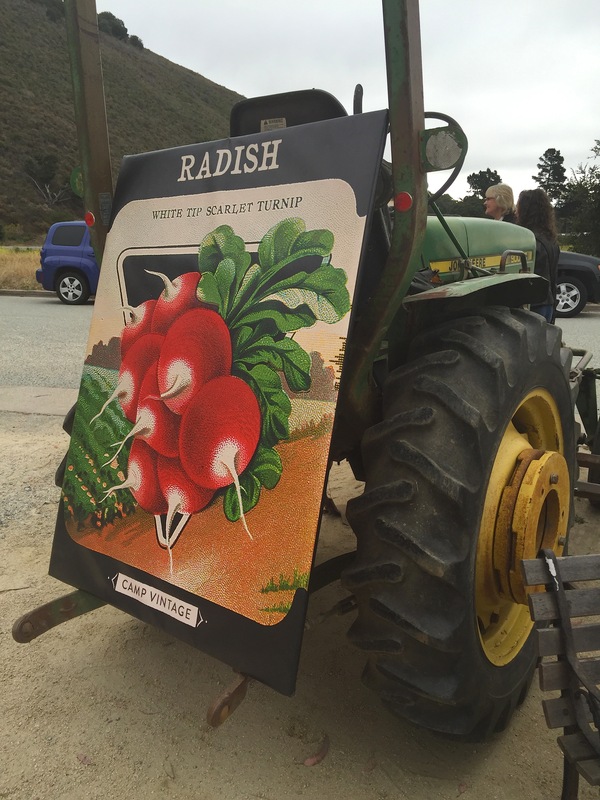 The theme will be Vintage Early California, colorful Bauer pottery, Mission Furniture, and Mexicana. Fun.